Visit joinDMC.com to learn more about program details. Enter Promo Code 55187 when you join to receive this special, Cardmember-exclusive offer. The latest Cardmember-exclusive pin featuring Mickey Mouse in his starring role as Steamboat Willie will be available on February 15! Order yours for just $12.99 (plus tax, S&H) with your Disney® Visa® Card. Restrictions apply. 5 Disney Movies for $1.00 total plus a free Incredibles 2 blanket when you join the Disney Movie Club. Minimum purchase required. See details online at joinDMC.com. As a Disney Movie Club member, all you need to do is buy 4 movies at regular Club prices in the next 24 months (starting at $19.95 per movie), plus shipping and processing of $3.95 for the first title in each order, and $1.49 for each additional title in that same order. You may cancel your membership at any time after purchasing the 4 movies. By agreeing to purchase at least 4 regular-priced movies in the next 24 months, you qualify to receive 5 Disney Movies of your choice from the list of titles currently available from the Disney Movie Club for $1.00 total. 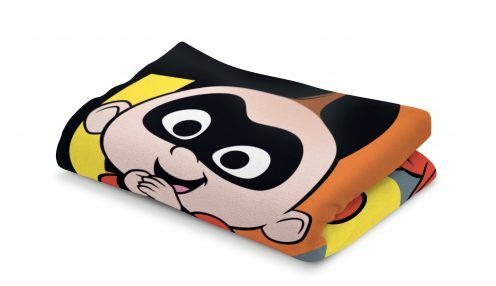 You’ll also receive a free “Incredibles 2” blanket (while supplies last). Shipping and processing for your introductory offer shipment is free. Please allow 2-4 weeks to receive your first shipment. You may also take a 6th movie now at the special price of $9.95. Plus, you pay no additional shipping and processing charge. This Bonus Movie will even count towards your purchase commitment, so you’ll only need to purchase 3 more movies in the next 24 months instead of 4. Plus you can save even more by selecting a 7th movie now for the special price of $7.95 and still pay no additional shipping and processing charge (this selection does not count toward your commitment). About every 4 weeks (up to 13 times a year) you will receive a mailing indicating the “Featured Title.” Plus you may also receive up to 2 more seasonal Featured Title mailings a year. That’s up to 15 buying opportunities a year! You can choose to receive the Featured Title, an alternate, or no movie at all. If you do not inform us of your choice within 10 days or by the date specified on the card (either by returning the card, visiting the website, or by calling the 800 number on the card), the Featured Title will be automatically shipped to you. When you join the Disney Movie Club, you may provide us with your credit card information (website accepts credit card orders only). You will be charged only for the movies that you order (including Featured Title shipments) plus shipping and processing. We will not charge your credit card until the date of shipment. You agree to fulfill your purchase commitment within 24 months of sign-up. If you are unable to meet your commitment within your commitment period, your credit card may be charged for the value of the 5 reduced-priced titles you have received. 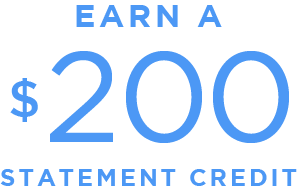 This amount is dependent upon your initial sign up offer and the format of your introductory movies. Your satisfaction is 100% guaranteed! If you are not completely satisfied with your introductory titles, simply return them within 10 days of receipt along with written notice informing us that you want to cancel your membership. We will refund any money you might have sent, including shipping and processing costs, as part of our no-risk guarantee. This offer is limited to customers residing in the contiguous United States and may be withdrawn at any time. Disney Movie Club cannot ship to APOs or FPOs. Limit: one membership per household. Must be 18 years of age or older to join. Applicable sales tax will be added to orders shipped to California and Wisconsin. This offer may not be combined with any other promotional offer, including coupons and rebates. All applications to join the Disney Movie Club are subject to review. We reserve the right to request additional information, to reject any application, or to cancel any membership. We reserve the right to alter or end this offer at any time. All titles are subject to availability.